J.P. Barfield, a resident of Nashville, Tennessee, concentrates his practice primarily in the areas of state and federal courts in personal injury, workers compensation, medical malpractice, divorce, family law, wills and general civil cases. Prior to the practice of Law, Mr. Barfield worked as an insurance claims representative for over 10 years with Fireman's Fund Insurance Company and CAN Insurance Company, focusing on automobile and general liability claims. Mr. Barfield is a graduate of Middle Tennessee State University and the Nashville School of Law and was admitted to practice law in 1985. 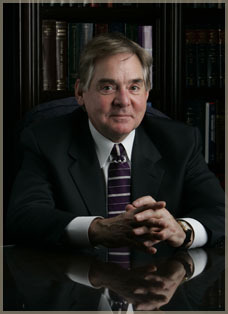 He is admitted to practice before the Supreme Court of Tennessee and all lower appellate and trial courts. Mr. Barfield is a veteran in the United States Army, serving overseas in 1967.